The Spanish Translation Service provides certified translations of documents for presentation to government and educational authorities in the UK and abroad. For clients living in London, our office is conveniently located near Highbury & Islington underground station on the Victoria Line. We guarantee that our certified translations will be legally effective as and where necessary. Translations into Spanish are carried out by a sworn-official translator of Spanish mother tongue (“traductor jurado”). 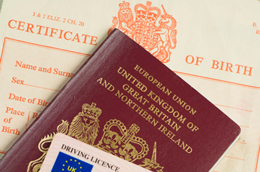 Translations into English are carried out and stamped by a member of the UK Institute of Translation and Interpreting, and can be sworn before a solicitor or notary if required. Short documents will usually be translated, certified and returned to you within a matter of days. For more information regarding this service, please ring us on 020 7704 6969, or fill in the quotation request form.